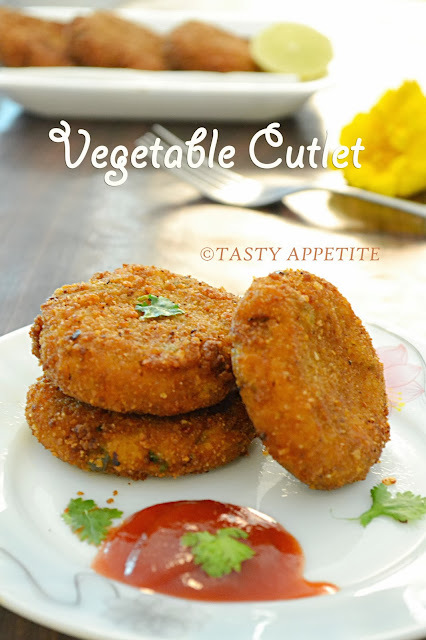 Vegetable cutlets are those very popular and tempting deep fried delights. 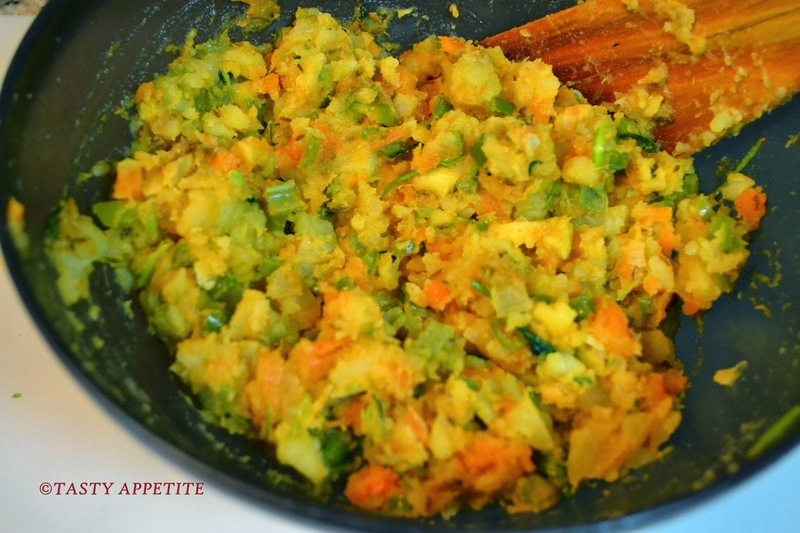 Its a great combination of vegetables and spices & makes an ideal tea time snack or as an appetizer. You can pre-prepare the spicy vegetable mixture and refrigerate it too and make cutlets as you wish. Also this cutlets can be kept inside a burger bun, along with sliced tomato, onion, parsley leaf and serve it as tasty vegetable burger for your kids. 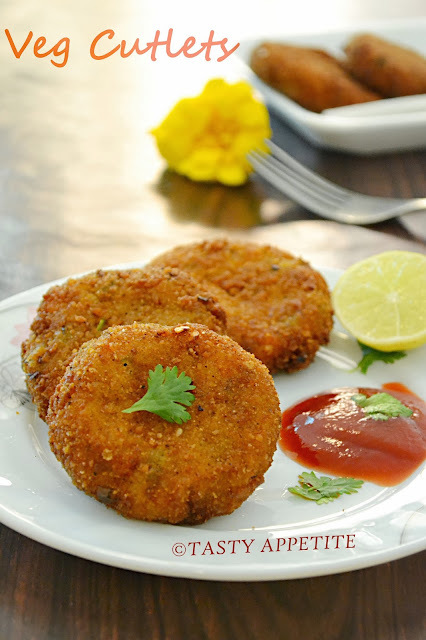 The preparation is very easy and the cutlets tastes light, crisp on the outside with soft inside. It goes well with tomato ketch up or with mint chutney. 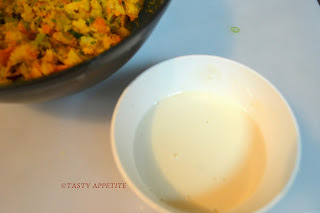 Here’s the recipe of the vegetarian appetizer, that is healthy & tasty too..! 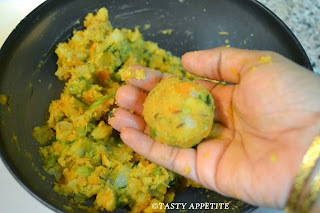 as I have shown stepwise in yesterdays post Vegetable Bonda. 2. Make small balls out of the mixture. 3. Pat it flat to small round shape . Also you can make it oval, heart shape or any shape you desire. 4. Take all purpose flour in a small cup. 6. Keep the bread crumbs ready. 7. 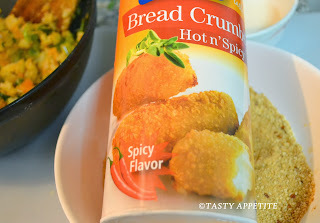 I used spicy flavored bread crumbs, which is available at Indian stores. You can also use plain bread crumbs for coating, which will be equally tasty. 9. Repeat the same with all the cutlets and keep it ready for deep frying. 10. Heat oil in a frypan. 11. Drop the cutlets gently in hot oil. 12. 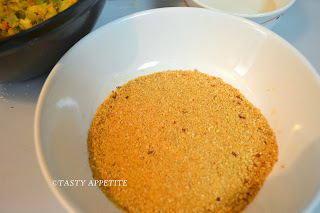 Keep the flame on med-high flame and fry till it is golden in colour on both sides. 14. Drain on a paper towel. 15. 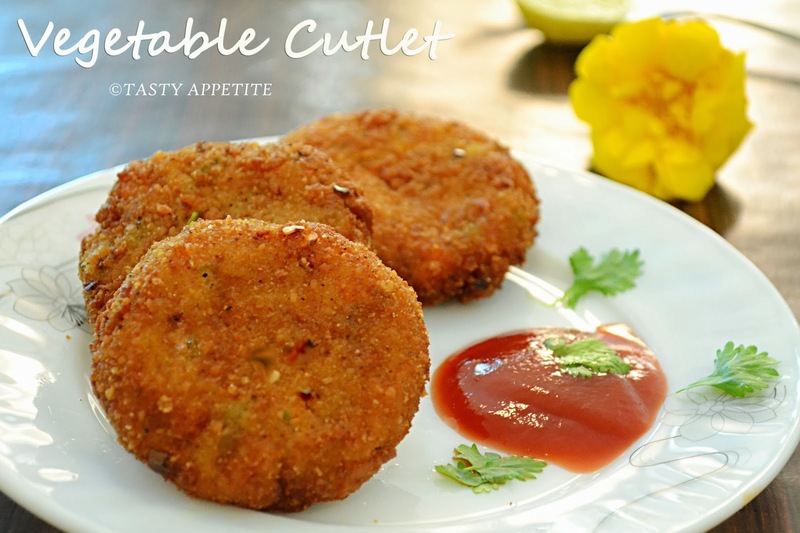 Yummilicious Vegetable Cutlet is ready. 16. Enjoy hot with tomato ketch up or any of your favorite dips. as usual super clicks!!! feel like grabbing some from the screen!! 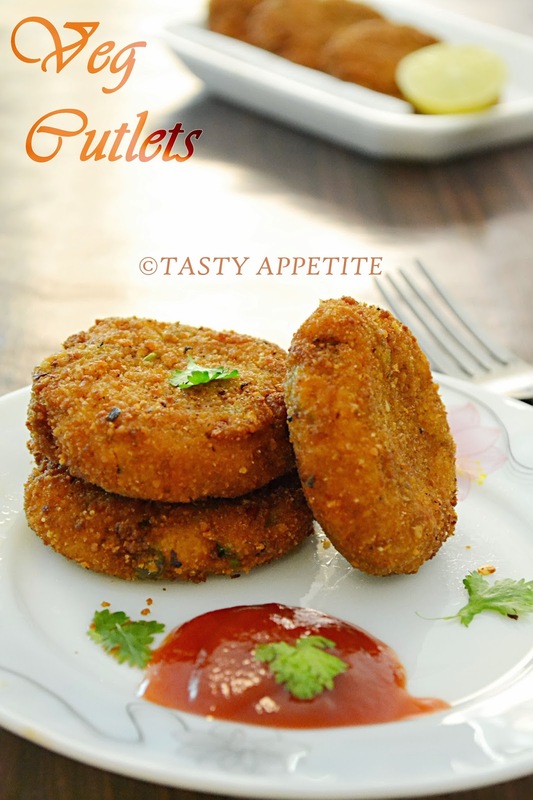 Crispy and lovely looking cutlets. 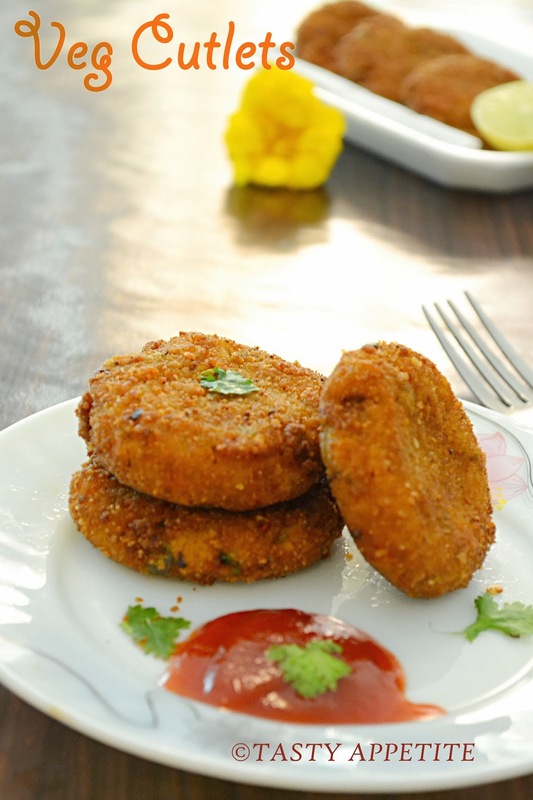 Crispy and lipsmacking good veg cutlets. 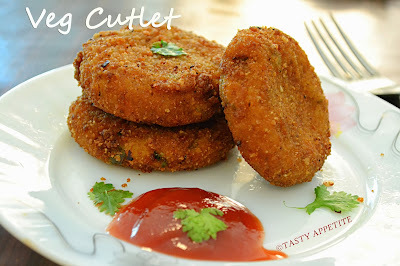 jay, super click and super yummy cutlets...love your version. Crisp Pics and crisp cutlets too! Lovely! Yummy & Crispy Cutlets. Love the presentation.